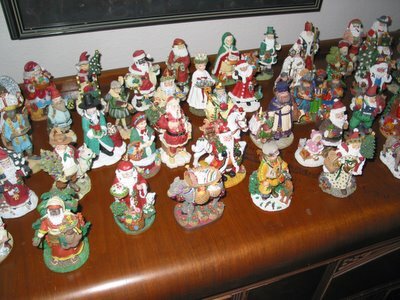 I've got multiple Italy and Ireland santa's they are identical to SC31 and SC16 but are MC31 & MC16, they are rare handpainted pewter and attached to a beautiful hardwood base. If you are interested feel free to contact me at tbjohnson@cox.net. I have beautiful pictures with orginal packaging. Please put Santa in the subject line if you should read this comment.